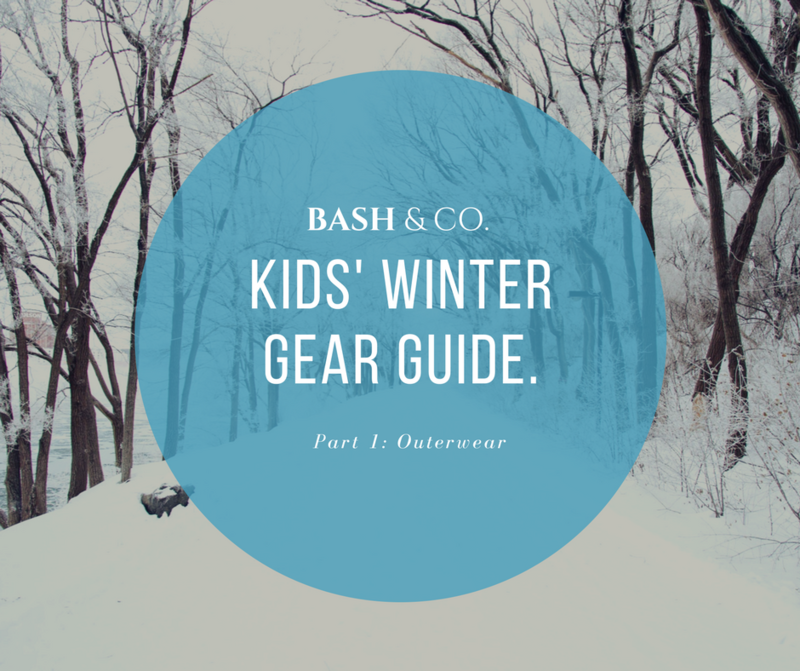 Infant & Toddler Winter Coats, Pants, Bibs: Winter Outerwear - Bash & Co. While much of the country has undergone a fall heatwave, holiday decorations are popping up, signaling that “winter is coming!” We even had our first taste of winter here in NYC where the mercury dropped to below freezing. And while I’m all for sweater weather, last week was definitely a wake-up call that I need to get Bash’s winter wardrobe together beyond the fun styling of his holiday looks! With Black Friday and Cyber Monday fast approaching, there are bound to be great deals to help you stock up on all of your toddler’s winter gear. But how do I keep my toddler warm and toasty without looking like a puffy yeti or causing an abominable snowman-style meltdown? Are there any festive winter styles that won’t have my child looking like a prancing jingle bell hyped up from the remnants of Halloween candy past? While there are so many children’s brands that are churning out styles, we’ve found it tricky to find stylish boy toddler winter gear that combines the sophistication of a GQ spread with the playfulness (and comfort) that suits their toddler senses (#letthembelittle). 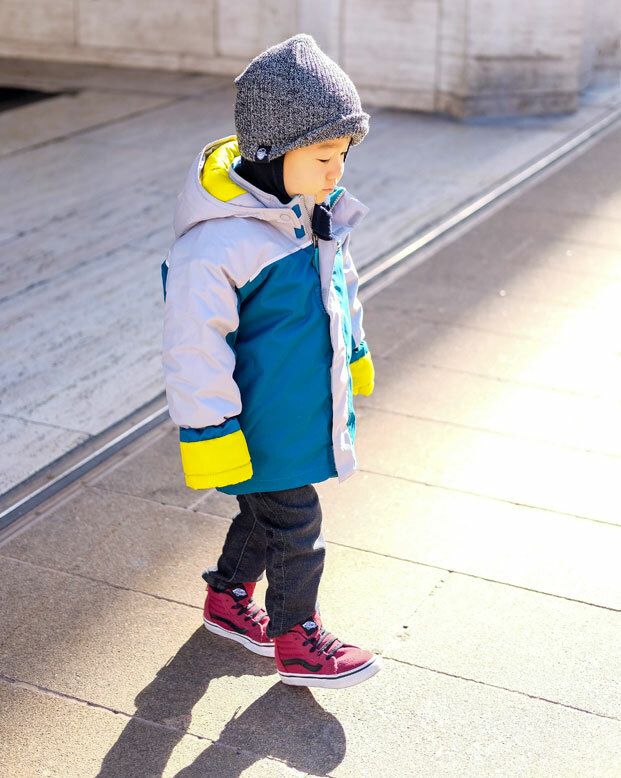 So, we’ve rounded up our favorite toddler winter coats, pants, and snow bibs that will keep your little one toasty in style throughout your winter engagements! Also, at the end, we also feature some our favorite infant styles. Unless you want to come inside to warm up every 10 minutes, it’s worth it to invest in high quality winter outerwear to help you child stay warm and dry. 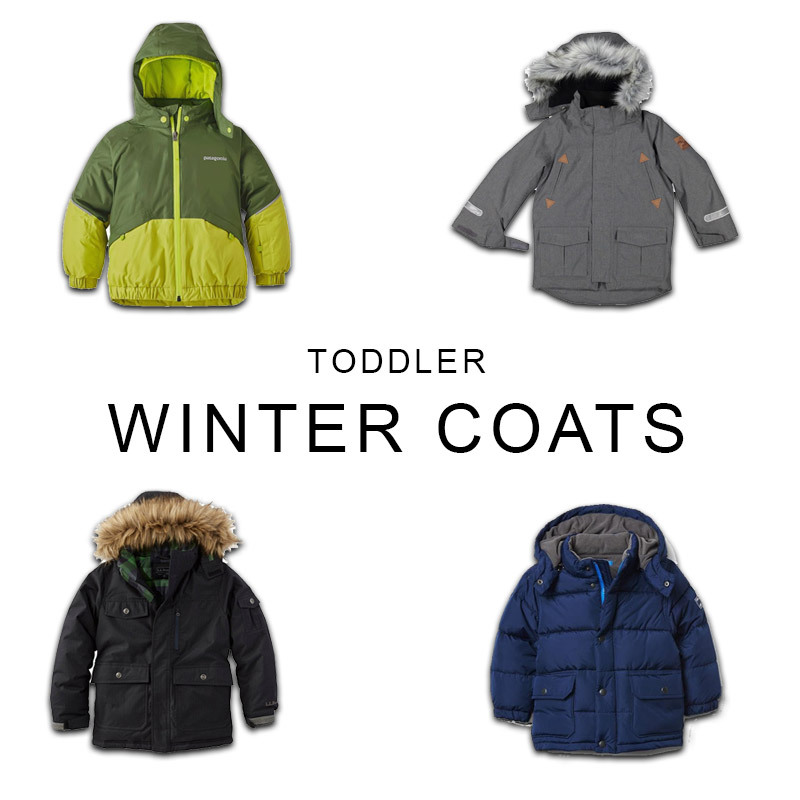 Often times, you can find great deals on children’s winter outerwear. Items usually hold up well for hand-me-downs or consignment resale value, so you definitely earn your cost per wear. Also, once you find a brand you like for outerwear, buy the next size up at the end-of-season sales. Check out REI Garage for good deals on trustworthy outerwear brands. If you buy only one coat, a parka is the most versatile piece that will take you from the classroom to playground in style. A high-quality winter coat with built-in insulation and waterproofing is the one winter gear piece worth the splurge. Typically, we can get two winters out of a coat as I usually size up to accommodate several layers and outdoor brands like Patagonia and North Face offer extendable / adjustable sleeves (see photo above). Look for parkas with adjustable hoods, sealed / lined seams, waterproofing, reflective taping, and built-in insulating layers (many of which zip out for added versatility). Swedish design for Scandanavian winters – what more could you ask for? This is definitely the crossroads of form meets function. Waterproof and with a detachable faux fur hood for added style (and warmth), this is one parka that will take you from ski slopes to school in style. We love this trusted outdoor brand’s jackets for their warmth and durability. Both baby and boys’ styles are breathable, waterproof, and insulated to give your little one extra hours to burn off that energy at the playground. It’s highly likely that these jackets will get your toddler through two winters, as they feature extendable sleeves that grow with your child. This windproof, water-resistant classic snorkel coat is rated for activity in 10 to -20 degree weather. We love the style of the faux fur hood and the colorful buffalo plaid lining is so cool, you’ll want to keep it on indoors. We had this in our rotation last year and it held up fine for very minimal snow play: At half the price or more (usually further reduced during one of Gap’s big sales), this puffer style offers a more rugged, sporty look. We had this in our rotation last year and it held up great for everyday wear. With its microfleece lining, it kept my toddler warm while walking 10 blocks during a snowstorm to a playdate. However, it’s outer layer is water-repellent, not waterproof; meaning, you may want to give it a once-over with a waterproofing spray before heading out to build that snowman. Unless you live in the artic or plan on lots of snow sports, investing in a snowsuit for outdoor play may an expensive endeavor. Instead, double duty a pair of rain pants over several insulating layers to provide a waterproof outer layer. 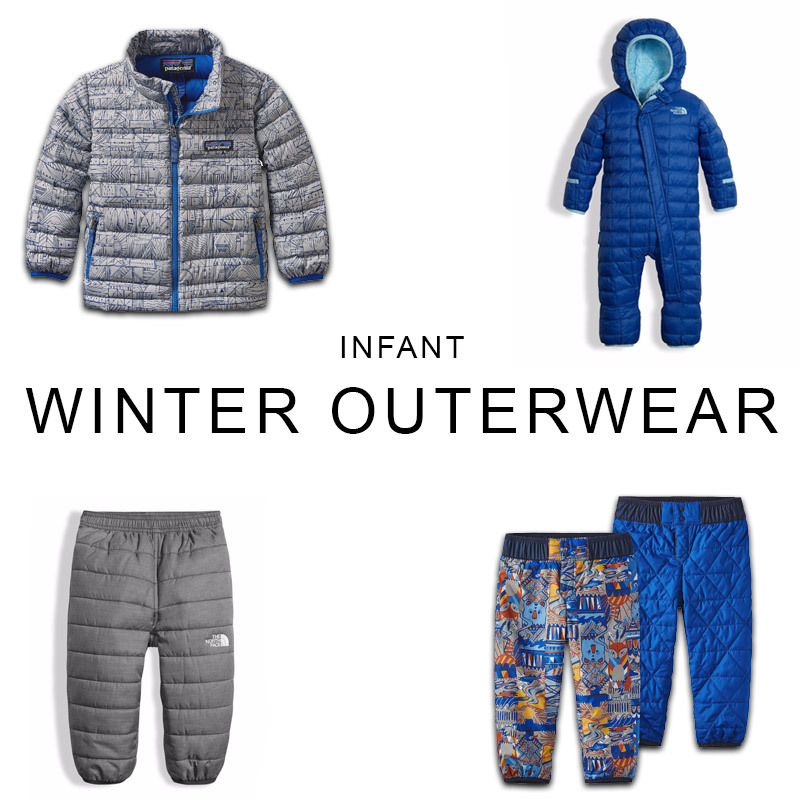 For colder climates, snow sports, or if you are raising a polar bear cub, a snow suit just may warrant the investment. 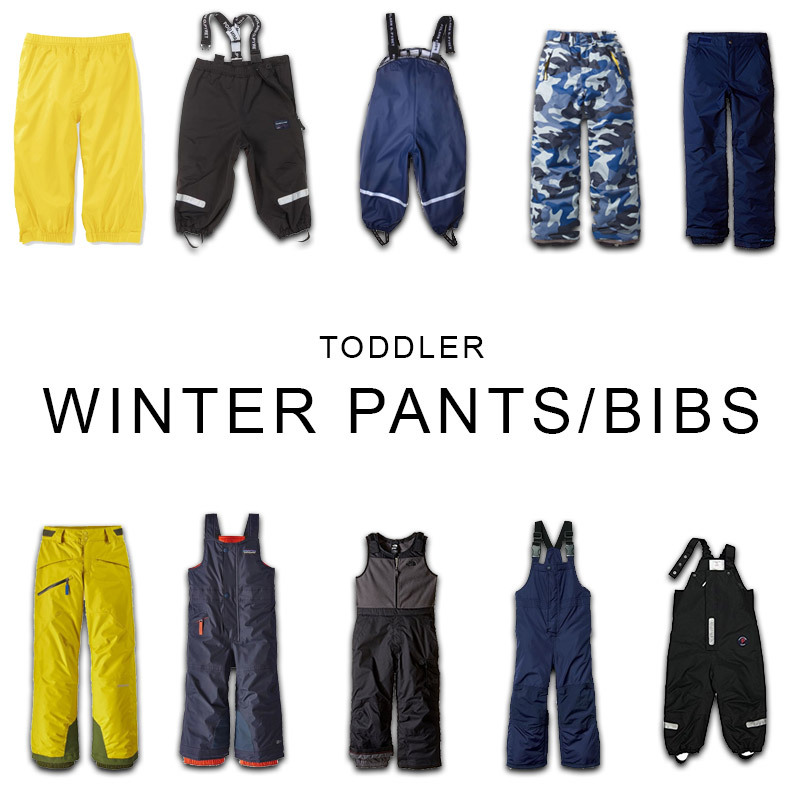 We prefer a separate pair of snow pants for easy potty trips or look for snow bibs with simple clips / zippers that are easy to unfasten quickly to prevent any accidents. At under $20, you can’t beat these waterproof pants. With an elastic waist, they’re easy to get on and off quickly and adjust to accommodate insulating layers for colder weather play. These waterproof, insulated pants will keep your toddler dry for extra hours of snow play (yeah, you may just want to buy yourself the adult version). We especially like how they aren’t too bulky for a slimmer silhouette that doesn’t scream marshmellow man. These waterproof pants are made for extreme snow play and shredding on the slopes. Budding explorers will love these cute, waterproof pants that are padded and lined for extra warmth. Just like its Snow Pile Jacket counterpart, these bibs provide waterproof, insulated comfort without a whole lot of bulk. The deep front zipper accommodates easy on / off mobility and the pant legs extend additional inches as part of Patagonia’s grow with me functionality. With a fleece lining, these waterproof pants were made for the bunny hill! With extendable legs, they will probably see you through quite a few snowball fights. Fleece-lined and with an added layer of Gap’s Prima Loft insulating material, these will help keep your little one warm while sledding. In wet conditions, plan to give these a once over with a waterproofing spray as these are water repellant, not waterproof. With the same functionality as their rain pant counterparts, these bibs have an extra fleece lining and are fully wind and waterproof for extra cold days. For younger infants, you may be tempted to buy bunting. While super warm, oh so cute, and the convenience of stuffing your kid into just one layer, beware of annoying and tricky diaper changes. After a public diaper changing incident attempting to manhandle an 8 month old out of button-down cashmere bunting (I’m sure you can imagine how that went), we decided to use separate pants / jackets and multiple stroller blankets to keep Bash warm when he was younger. But if you are in the market for bunting, look for extra-long diagonal zippers or two sets of zippers for easy changes, and fold-over cuffs so you don’t need to add mittens. We literally lived in this down jacket for 2 years throughout fall, winter, and spring. Layered up, it was the perfect jacket for outdoor playground romps but also worked well (and not super bulky) underneath the stroller footmuff. For windy climates and longer romps at the park, check out these wind-resistant, insulanted pants for baby. Another great option for a warm outerlayer for babies. I love how these reverse from a solid print to a super festive fair isle style print. Head-to-toe warmth with a cozy sherpa lining. I love the fold over hand and feet cuffs and the long, asymmetric zipper. Good selection of winter coats and pants for our little ones. Thanks, Dennis! “Winter is coming!”, hahah!